In this tutorial you are going to learn how to change google back from igoogle which can be useful if you have decided that you no longer wish to use the iGoogle interface. 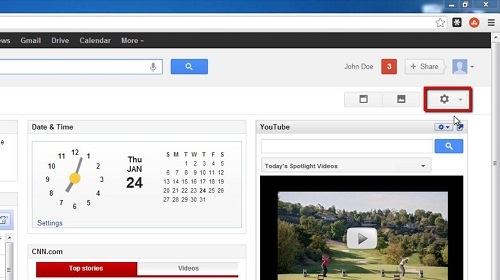 Make sure you are on the iGoogle page, if you are not already at this page it can be found at “www.google.com/ig”. From here you need to click on the icon that looks like a cog in the top right corner of the window. In the drop down menu that has appeared click on “Classic Home” and this will redirect you to the normal Google homepage. 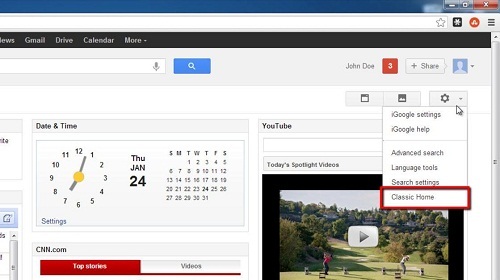 You can use this just as you normally would and that is how to change google back from igoogle.